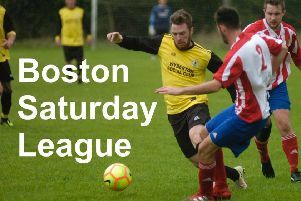 Gary Edgley is plotting to toughen up his Boston Town squad - with the help of boxer Thomas Pogson. The amateur heavyweight - the cousin of Boston pro Callum Johnson - is aiding the Poachers with their strength and conditioning training. And with the arrival of coach Jack Medley, who has previously worked with Grantham Town, Edgley is hoping to improve his squad’s skills as well as their toughness. 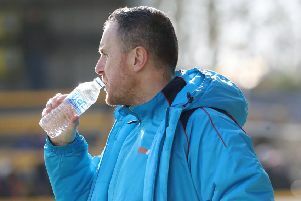 “He’s going to come down and do some strength and conditioning training with the lads,” said Edgley, hoping to help his young squad gain an advantage in what can often be a physically combative United Counties League Premier. “We’ve got good, skilful young players but we want to make them a bit stronger. And with the arrival of Medley, Edgley is hoping his side can hit the ground running next season. “We want to get any advantage we can,” the manager added. Town return to action away at Oadby Town on Saturday. Oadby’s three-game winning run ended following a 1-0 defeat at Desborough on Tuesday.